Just the other day a study came out titled Risks of harm from spanking confirmed by analysis of 5 decades of research” As you can imagine, looking at the comment sections in most places this study was shared, the top liked comments were from parents that didn’t take kindly to being told what to do in the privacy of their home (or in the cereal isle of the supermarket). Five decades of research of over 160,000 children found the more children are spanked, the more likely they are to defy their parents and to experience increased anti-social behavior, aggression, mental health problems and cognitive difficulties. Shockingly it wasn’t just parents who reacted in an aggressive way to the findings, as teachers chimed in as well. 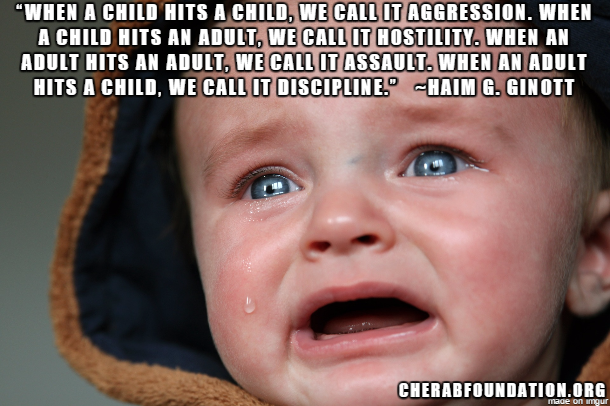 If only that were true….any of it; That only children who are spanked are well behaved. That a teacher can tell who was spanked and who was not. I can only surmise that he was spanked as a child, and that if he has children he spanks them. When I was raised there were not that many children brought up without being spanked. My brother, my sister, and I were the only ones I knew who were not. While my friends were spanked with hands, belts, paddles -and spoons, my mom and dad did something really “weird” -they talked to us about what they didn’t want us to do. The talked to us about why something made them sad, or worried, as well as what made them happy. My mom, who was raised in an orphanage, along with my immigrant dad, taught us about honesty, how to communicate our feelings, respect others regardless of who they were and most importantly, that the worst punishment in the world would be to lose the trust of our parents. My aunt had her Ph.D. in nursing and education and she taught my mother all kinds of progressive methods that my friend’s mothers looked at as “nutty” for that generation. For example, my mom bought clay and as kids we would learn to act out what was bothering us using the clay. My brother was diagnosed by Dr. Gold from Columbia as a “hyperactivity child” resulting in aggressive behavior towards me or my little sister. My mom built him a life size stuffed dummy punching bag that he would hit when he felt the need to hit something instead of hitting one of us. Yes we were punished at times. Sometimes we wouldn’t get to do things we had wanted to do, but we were never punished when it came to food, outdoor play time, or other things viewed by my parents as necessities. Law school followed my brother’s turn in the Merchant Marine Academy where he become one of the youngest partners in one of the world’s largest maritime law firms. My brother is also a captain where he holds an unlimited Master’s license issued by the United States Coast Guard. Me, I run the Cherab Foundation among other things, and like my brother was a top student in school as well. My little sister wasn’t a great student, but has street smarts, which has taken her far in life. My husband came from the world where both of his parents would spank with hands, belts, paddles and spoons. He pointed out to me early on that he and his brothers all turned out fine but he went along with my wish to raise our boys, who both ended up special needs, without spanking. While I know as adults people ‘can’ turn out OK whether they are spanked or not, why would anyone get angry reading about such strong scientific evidence? Why take that chance with your child when there are other ways to educate young children? If you spank your child, you are now on notice that you are not just potentially hurting them in the short run. Lisa Geng got her start as a designer, patented inventor, and creator in the fashion, toy, and film industries, but after the early diagnosis of her young children she entered the world of nonprofit, pilot studies, and advocacy. As the mother of two “late talkers,” she is the founder and president of the nonprofit CHERAB Foundation, co-author of the acclaimed book, The Late Talker, (St Martin’s Press 2003), and is instrumental in the development of IQed, a whole food nutrition meal replacement. 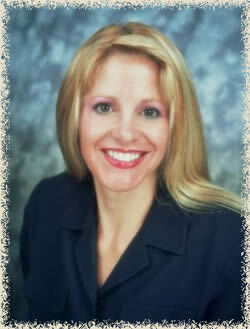 Lisa currently serves as a parent advocate on an AAN board for vaccines, and is a member of CUE through Cochrane US. Lisa is currently working on a second book, The Late Talker Grows Up and serves as a Late Talkers, Silent Voices executive producer. She lives on the Treasure Coast of Florida. Your site was the first I found in searching for information about this! Thanks for your work and I found this very informative.